Hello! My name is Lorrin, I blog about the embracing the perfect mess of life with kids over at embrace the perfect mess which pretty much includes anything to do with family life- recipes, quick diys, practical home decor, tips for traveling with kids, tips for photographing your kids, and a whole lotta mom-life! This is my second time guest posting here on The Crafting Chicks. In case you missed the first post, check out this super easy DIY sidewalk paint. This week we are talking about something totally different though. 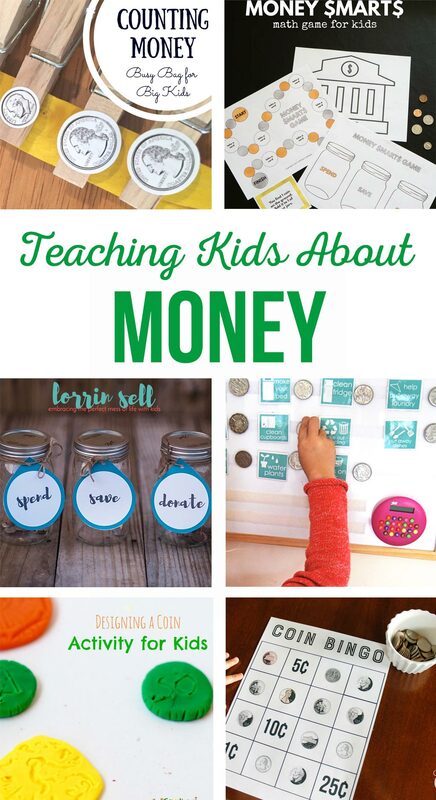 This week we are talking about money management and teaching kids about money. I grew up in a home where money wasn’t really discussed unless it was to say we didn’t have enough money for something. Since there wasn’t much to spare, we didn’t really discuss saving, or donating. As an adult, I often wish it was something my parents had put more of an emphasis on. 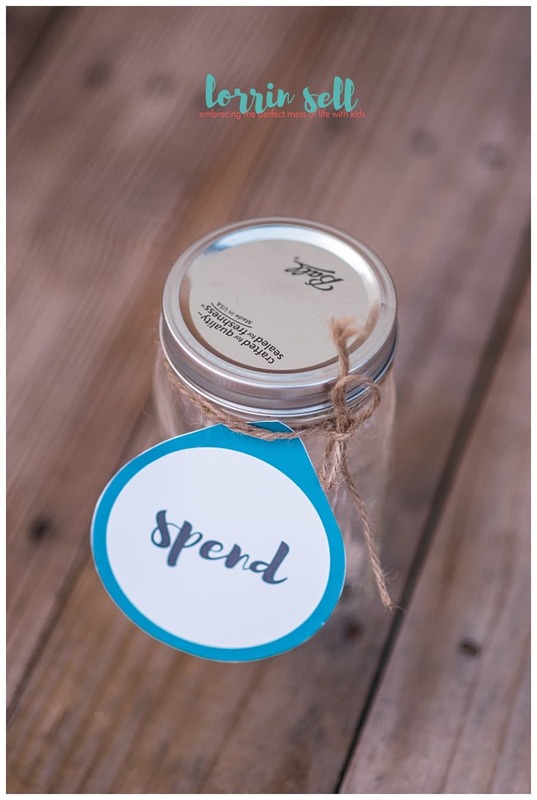 These DIY mason jar banks are the perfect way to discuss money in an age appropriate way with kids of almost any age. Over at embrace the perfect mess, I am all about a project that is quick and easy. Goodness knows, I don’t have a ton of free time. I’m also quick to bite off more than I can chew. These are adorable, fun, and crazy simple! 1. 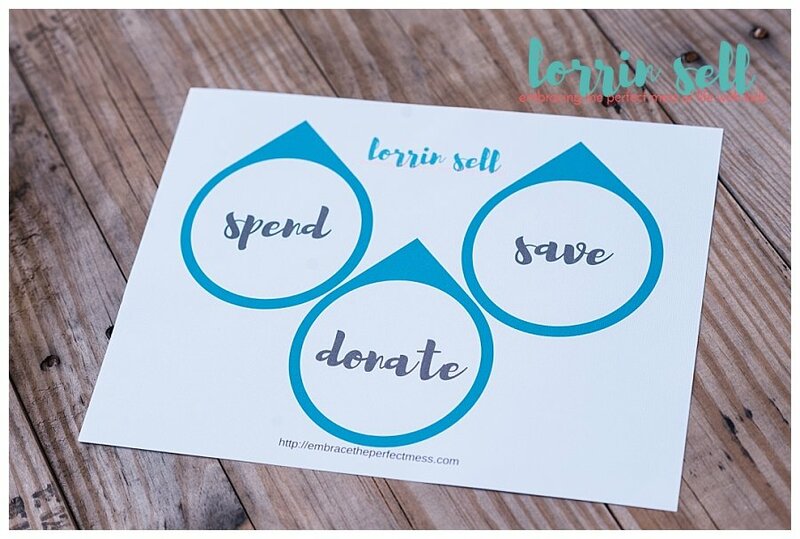 Print out the free printable tags. Be sure to print in landscape orientation. 2. Cut them out, and punch holes in the top. 3. Wrap jute around the tops of the jars, and attach your tags. Spend some time talking to your kids about what it means to save their money, and places, causes, charities they might like to donate funds. PS- Looking for something fun to do with the kids this summer??! Check out these 50 things to do with your kids this summer! Come hang out with me on these other platforms- facebook, pinterest, instagram, and twitter! 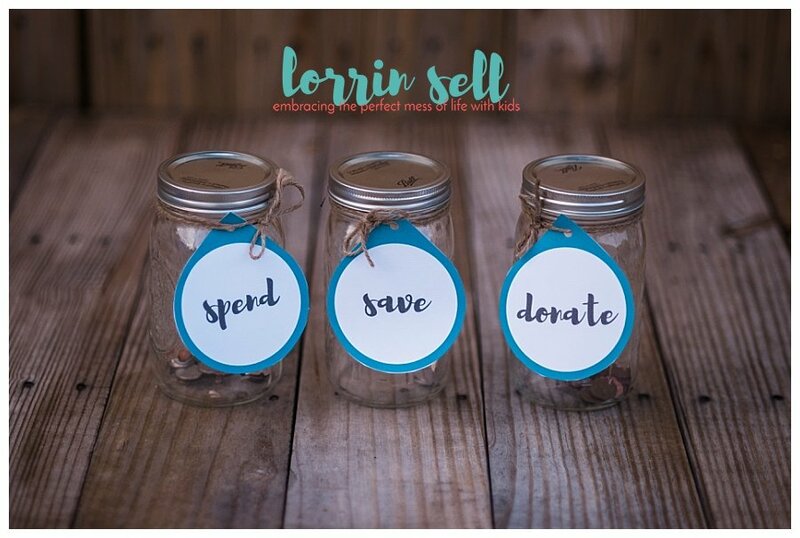 Lorrin is a mom with a camera, embracing the perfect mess of life with 4 kids. She’s equally obsessed with her family, flip flops, the beach, sunshine, and binge watching shows. Her blog offers help to quick and easy DIYs, family recipes, tips for traveling and camping with kids, photo tips, home decor for families, and so much more mom-life. She is chronically late, always busy, and rarely sits still. 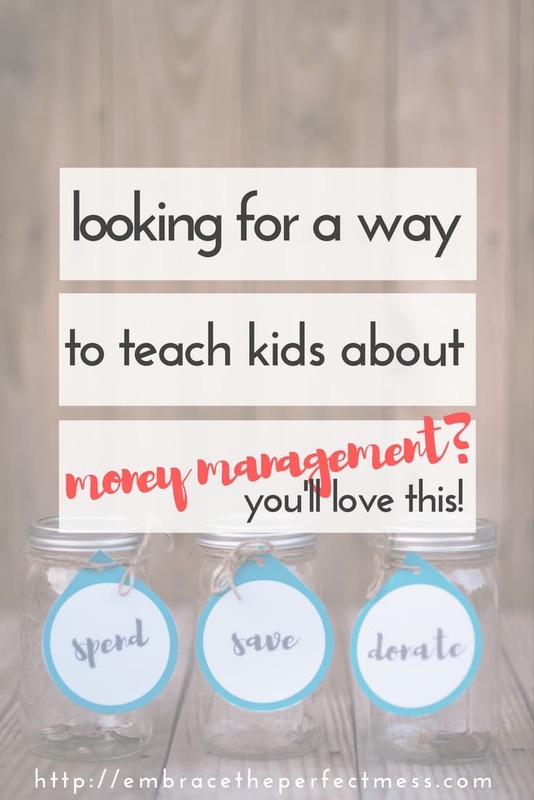 Still want more Money Management ideas?